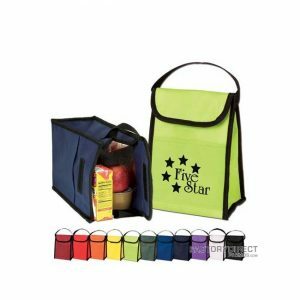 Small reusable cooler bags are perfect for carrying frozen foods home from the store or bringing a hot dish to a party or even bringing your lunch to work or school. These well-made customizable reusable bags feature handles for comfortable carrying and insulation that maintains the temperature for an extended period of time. Because we work directly with the factory there is no middle man, so we are able to ensure a high level of quality in our bags and a great price. We pass this value along to you so you can promote your brand in an environmentally and financially responsible manner. 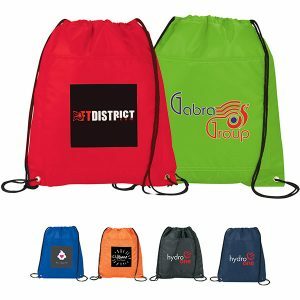 Simply choose the bag and imprint colors and if you opt to order from our stock selection we can quickly turn your order around in no time. If you meet our 3,000 minimum order requirement and you can wait the 60 – 90 day turnaround check out our overseas production for even lower wholesale prices or additional options to customize the bag.